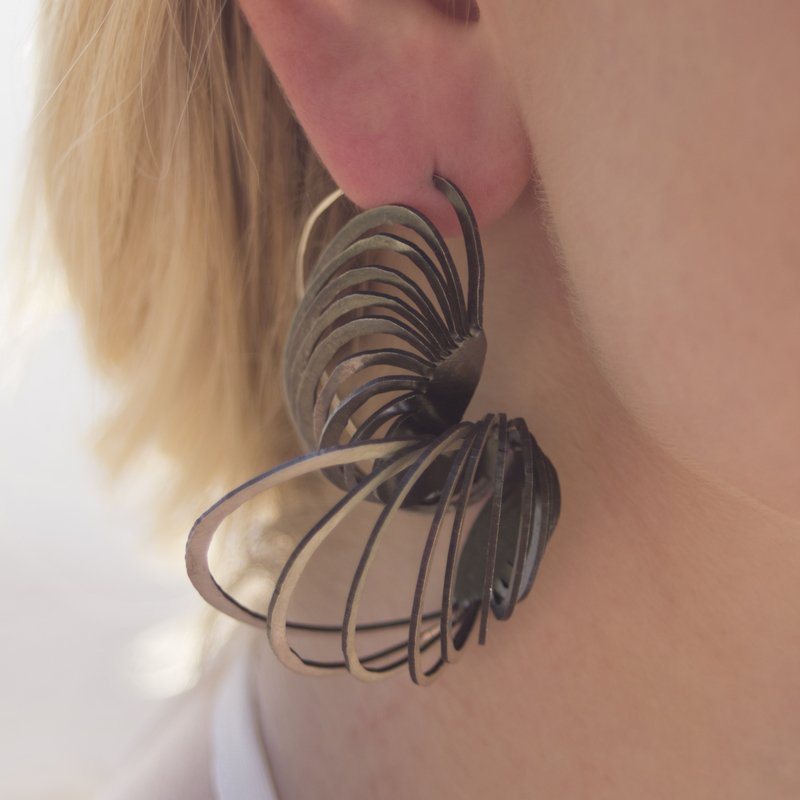 Elegant and eyecatching, Ripples Clamshell Earrings are made from sterling silver with partial black oxidation. 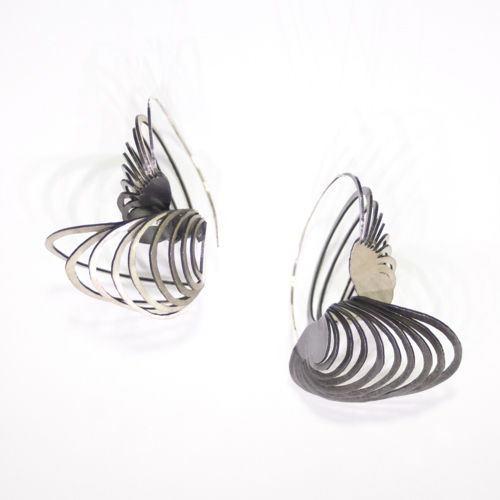 These earrings were fabricated using traditional methods from sterling silver sheet. 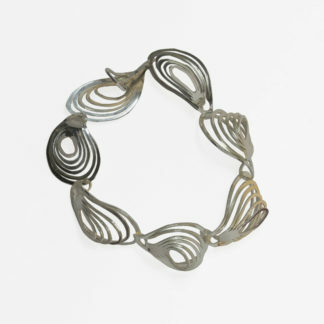 Reminiscent of natural forms, they are formed by shaping closely hand sawn lines. All of the jewelry pieces in the Ripples Collection have been fabricated from precious metal sheets, meticulously pierced in radiating patterns inspired by capillary waves. 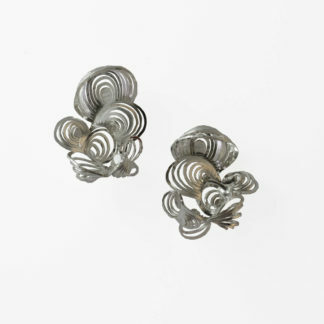 After cutting, each one is hand formed into dimensional shapes and finished with sterling silver earring posts or ear wires. 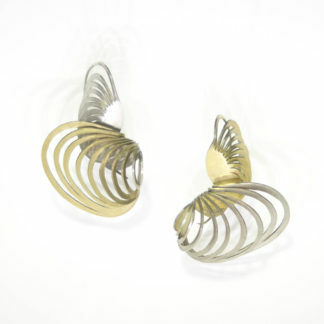 Reminiscent of natural forms, these earrings resemble tiny ripples in a puddle or small sea creatures. 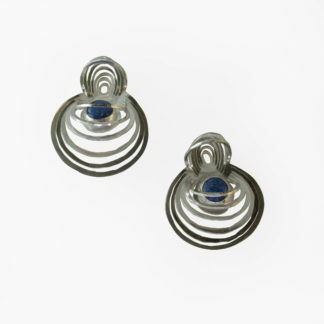 Each piece has been polished to a silky satin finish and tumble hardened for durability. 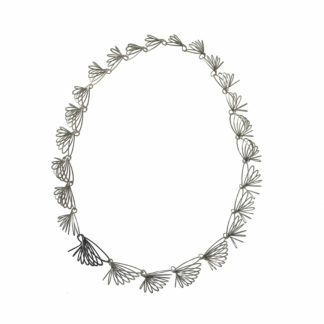 Due to the handmade nature of this collection there may be very slight variations in actual measurements.